If you love reclaimed wood projects, then this one is just the right one for you! 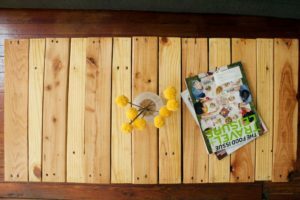 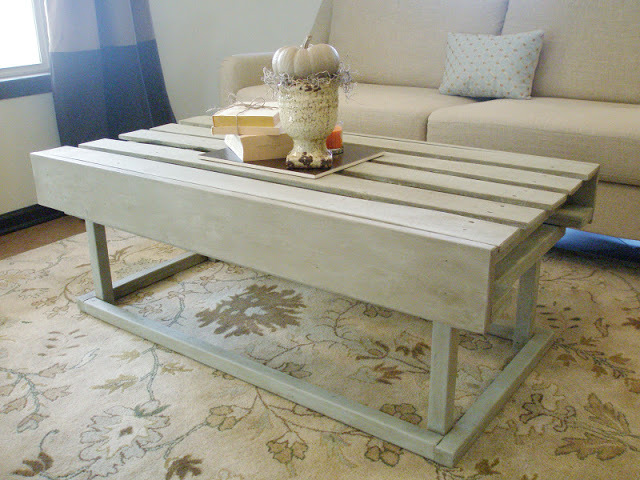 Learn how to make Pallet Coffee Table with complete step-by-step instructions. Handmade projects are affordable and are special too. 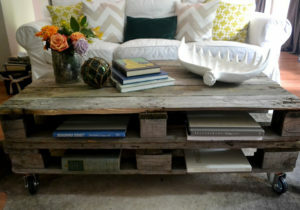 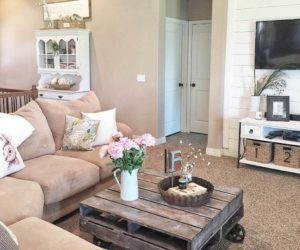 If you are looking for a creative handmade project for your living room, try exploring with the pallets at your home. 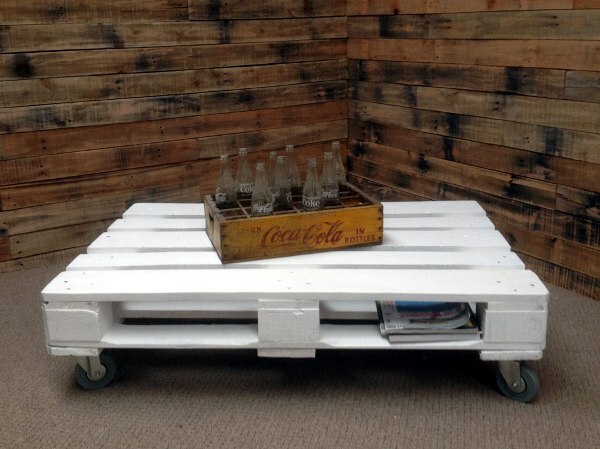 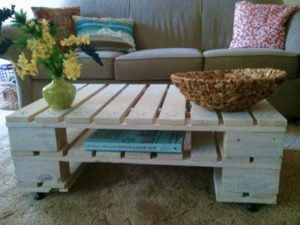 Easy to make and interesting to design, build your own Pallet Coffee Tables for your room. Time to make some unique pallet table designs with storage shelves and wheels. Adding a modern and rustic touch to your room. 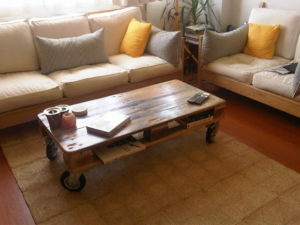 The instructions provided will help you build one easily. 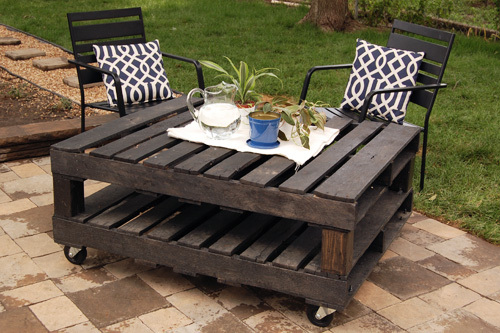 Turn your unusable and trashed wooden pallets into great coffee tables! Adding value to old stuff with creativity is a good project idea! You can attach metallic legs to the table and complete the look! 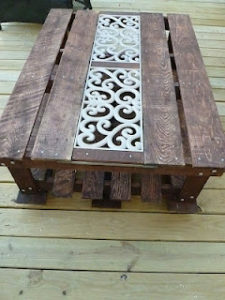 An amazing use of old pallets combined with metallic bench piece. Add a useful furniture to your garden at no extra cost. 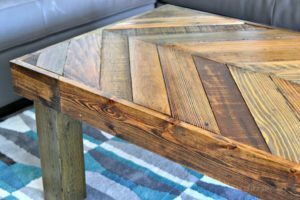 Once you have all the supplies required to build this pallet table, just follow the step-by-step instructions to make and amazing one! 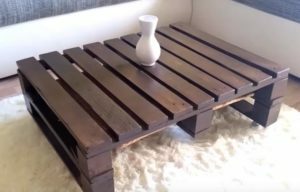 If you are wondering how to make this amazing pallet coffee table, then the detailed plan is right there in this tutorial. 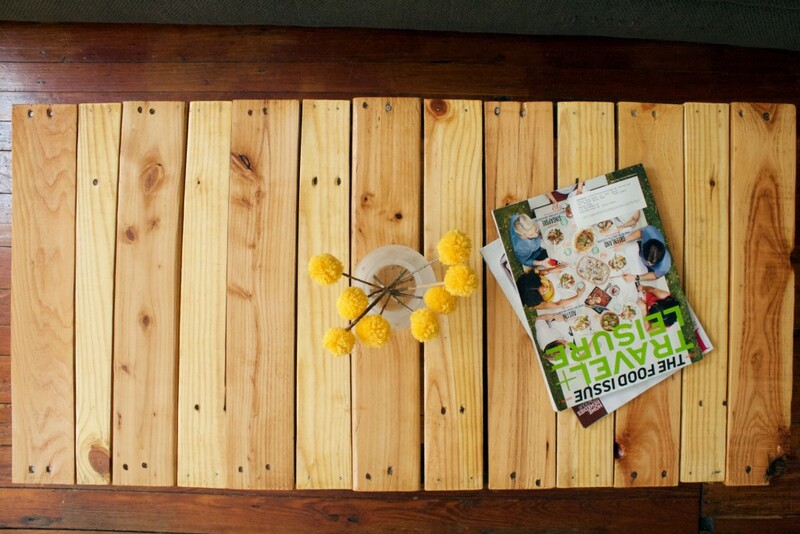 Build this multipurpose coffee table from discarded pallets. 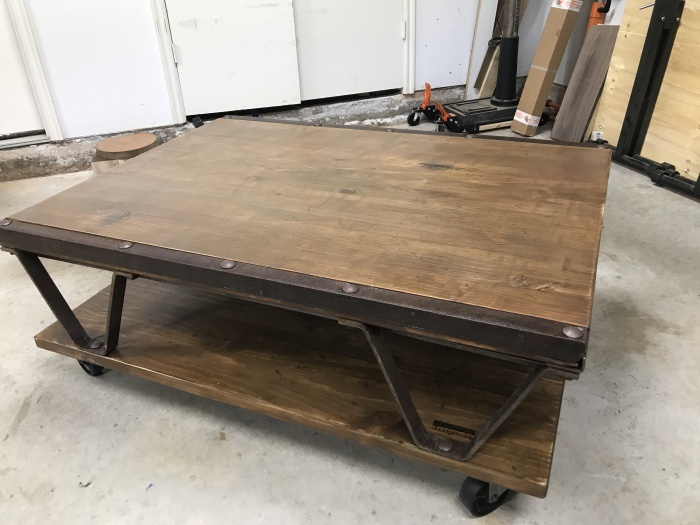 It has a glass top and storage shelves. 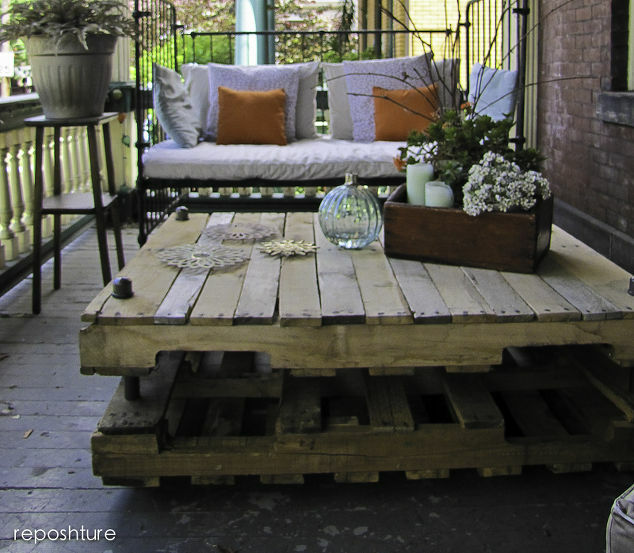 Time to hammer your junk pallets into something creative. 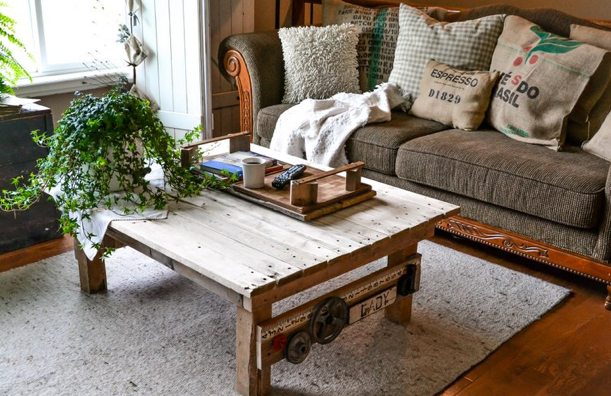 This rustic design looks great in your home! If you are fond of countryside look in your house, try making these rustic coffee tables from pallets. 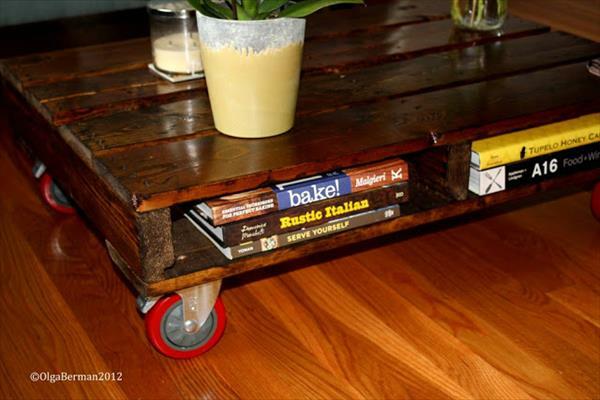 Adding metallic wheels makes it easy to use in different rooms. This tutorial is for a little skilled wood crafters. 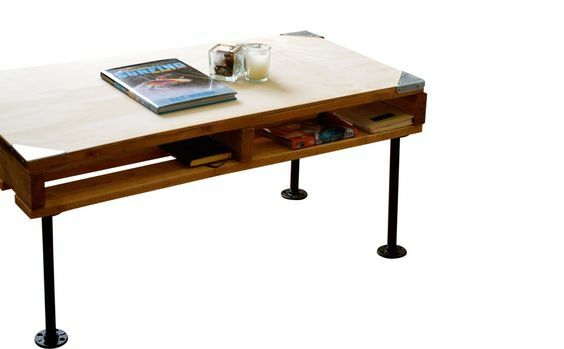 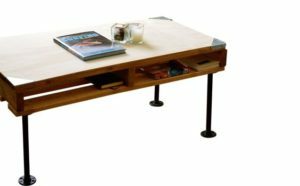 An ideal coffee table with drawers, storage space and a glass top, perfect to be used in your living area! 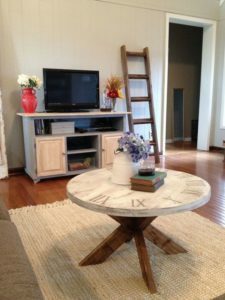 Inspired by the old classic vintage style, this pallet coffee table is simple to make with some easy step-by-step instructions! 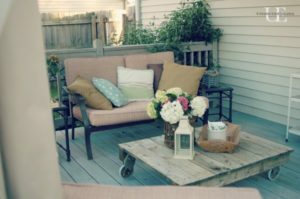 Making your own small pallet coffee table for outdoors is an interesting and affordable project. 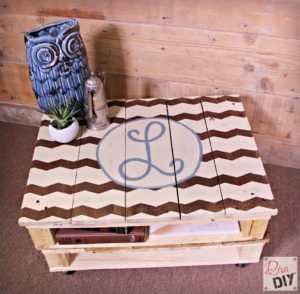 Decorate and paint the table as per your creativity. 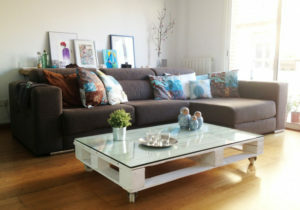 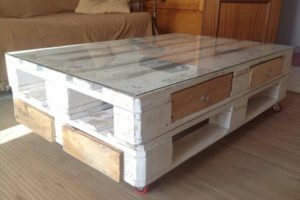 Adding a glass top to the coffee table made out of pallet is a brilliant idea, to reuse it properly. 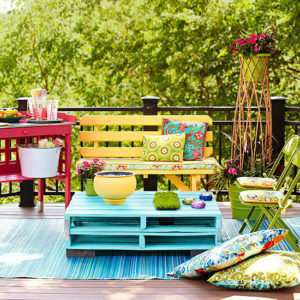 I loved the color of the wooden pallet used. 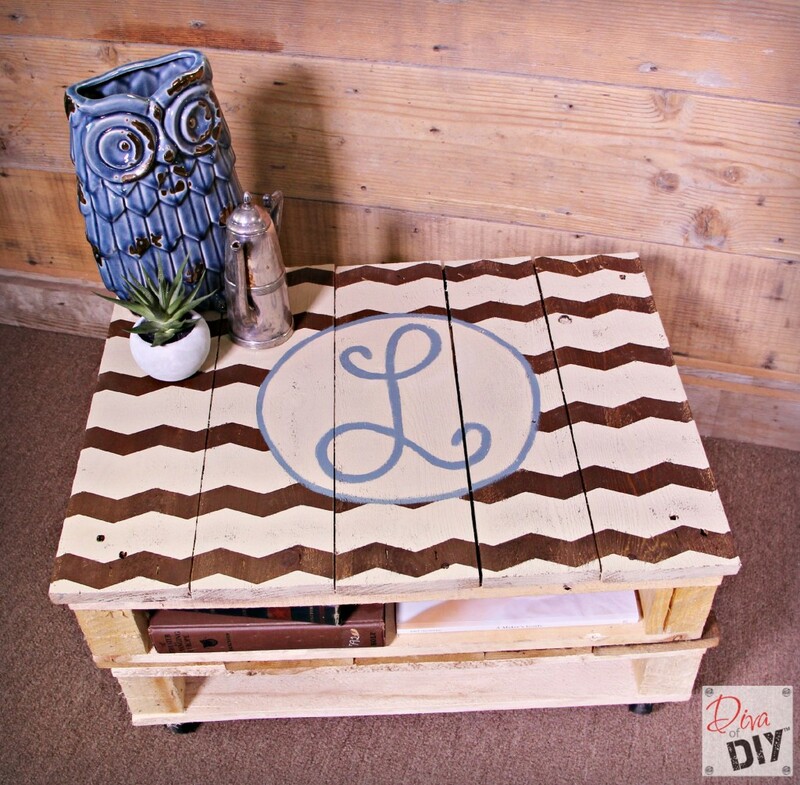 Add this handmade project and gather all compliments! 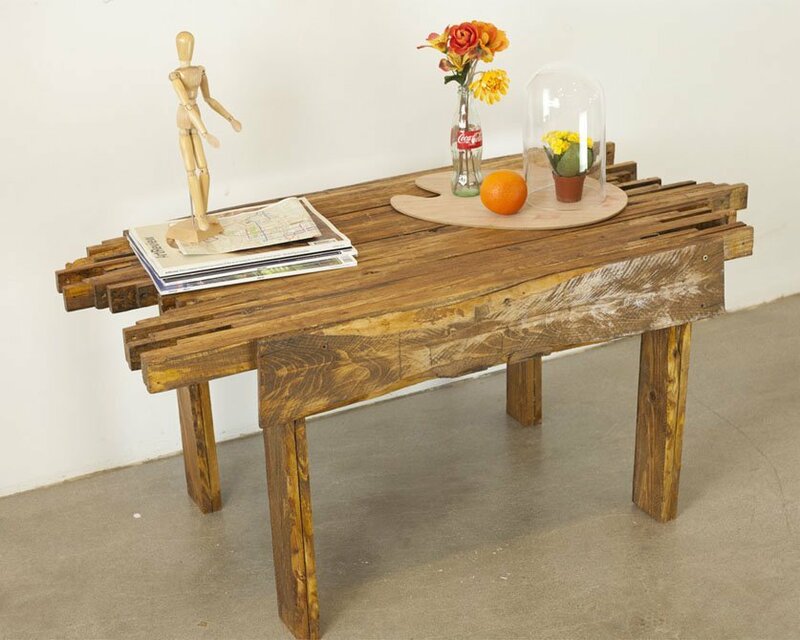 Add an artistic touch to your coffee tables used at your bedside or living room. 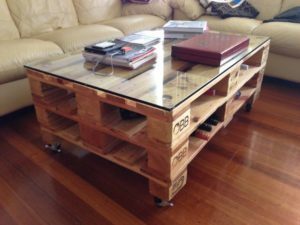 Recycling old pallets into use is a great woodworking project. 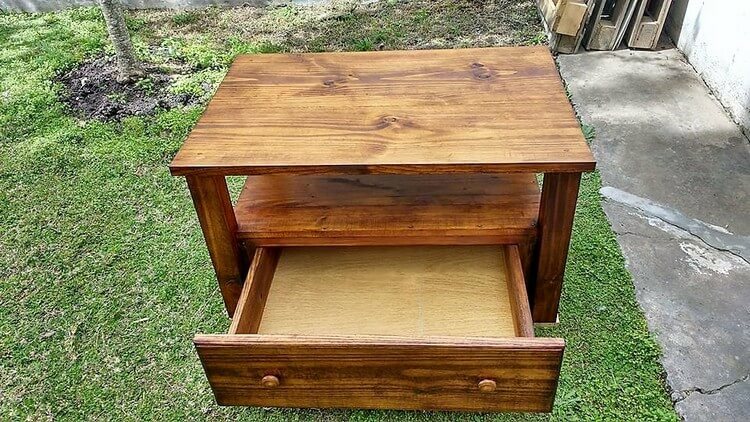 I have a fetish for wooden furniture of different kinds. Add some amazing furniture to your room and decorate it aesthetically. These round coffee tables look great! 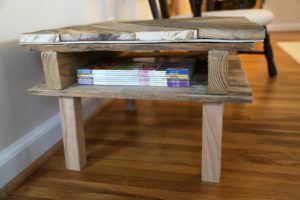 You can see step-by-step instructions with pictures and directions!